Faye Woodard was born Thursday, February 20, 1941 to Albert and Ethel (Blinn/Wolf) Anderson of Cataract. She was raised on the family farm with her two sisters Dixie and Rita and her brother, Dale. She attended Sparta Senior High School. She was a baton majorette which she was very proud of. She met and married Rowland K. Woodard of Sparta. Together they had four children, Dorothy (Wetter) Moldenhauer, Roderick K. Woodard, Kim Wentz, and Cheryl Zimmerman. Faye later divorced and raised her children with help from her family. Family was everything to her. Faye enjoyed gardening, crafts, traveling, fishing, and she loved her precious pets, Lizzie and Cody. She enjoyed playing with the children in her life, whether it was her grandchildren or great grandchildren or those of close friends and neighbors. 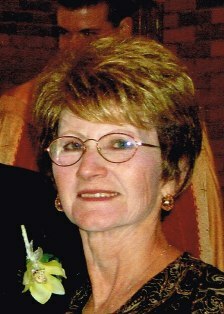 Faye was a very loving and caring person opening her home to many children. Faye is survived by her four children, Dorothy (Carl) Moldenhauer; Rick (Kristine) Woodard; Kim (Mike Kurtz) Wentz; and Cheryl (Christopher) Zimmerman; grandchildren: Naomi (Glenn) Dickenson, Nate (Cheryl) Welter, Brian Moldenhauer, Ronnie Sanders, Roderick Jr. (Billie) Woodard, Alex Woodard, Danielle (Ridge VanDeBogart) Kohn, Andrew Kohn, Desiree (Kyle) Krumrie, Shauna Kurtz, Kenneth Kurtz, Christopher Jr. (Malory) Zimmerman; great-grandchildren: Dylan, Jordan, Braydan, Hannah, Williow Faye, Austyn, Wyatt, Jaxon, Tara, Malachi, Jordan, Roderick III, Derek, Kylee, Cooper, Aubrey, Wes, and Grace. She is further survived by her two sisters, Dixie (Charles) Olson; Rita (Ruben) Huggett Lemke; her brother, Dale Anderson; and many nieces and nephews. Faye passed away Wednesday, August 15, 2018 at her home surrounded by her loved ones. She was preceded in death by her parents, Albert and Ethel Anderson; a brother in law, John Huggett; and several aunts and uncles. A Funeral Service will be held at 4 p.m. on Saturday, August 18, at the Lanham-Schanhofer Funeral Home, Sparta, with Reverend Brian Wold officiating. A private family burial will be held at a later time in Cataract Cemetery, Cataract. Family and friends are invited to call at the funeral home on Saturday, from 1 p.m. until the time of services. Online condolences may be offered to Faye’s family at www.schanhoferfh.com.